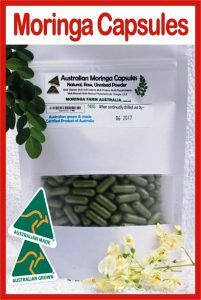 Why does Moringa work much better than a vitamin pill? 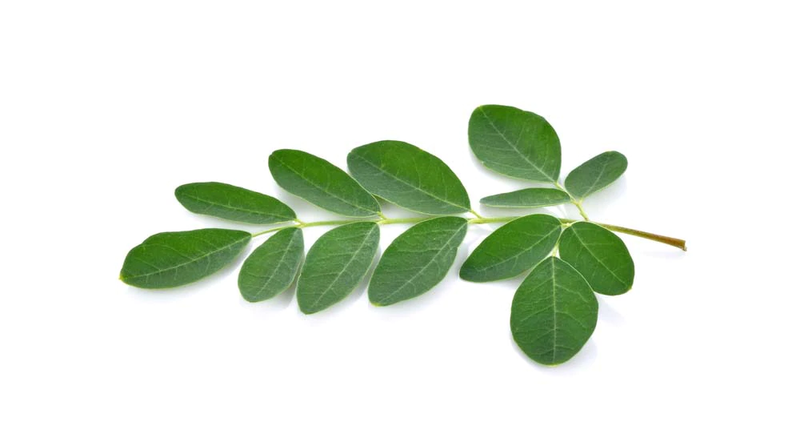 Moringa has high bio-availability, so all of it’s complex nutrients go to work in your body very quickly, giving a noticeable boost to energy levels and increasing well-being. Chromium – Up to 25 times more bio-available. Copper – 1.85 time more retained in the liver. Iron – 1.77 times more absorbed into blood. Magnesium – Up to 2.20 times more bio-available. Manganese – 1.63 times more retained in the liver. Molybdenum – 16.49 times more absorbed into blood. Selenium – Up to 17.60 times the antioxidant effect. Zinc – 6.46 times more absorbed into blood. Why DO we need to supplement our diets? One important component of better nutrition is supplementation. Why? The consumption of chemically laden and overly processed foods means that most of us have compromised digestive systems, making it nearly impossible to get all the right nutrients, all the time. What’s the best supplement? The one that works. Who needs to supplement their diet? Everyone! One reason we need to supplement is that the food grown today is less nutritious than the food grown 60 years ago. This has been shown by studies carried out in Britain in 1991 and more recently by the University of Texas. This is due in large part to soil depletion, NPK fertilizers, and high yield varieties. While fertilisers cause plants to grow bigger and faster, they do nothing to increase the plant’s ability to absorb nutrients. Often trace minerals are leached from the soils because artificially loaded plants are unable to take up these nutrients. Research has also found that plants have a fixed amount of energy and varieties with high yields may not have the energy to absorb enough nutrients from the soil to fully supply that high yield. The studies conclude that onions have 75% less calcium, potatoes 35% less calcium and 45% less iron, spinach 60% less iron, cabbage 71% less iron, and carrots 75% less magnesium than their counterparts grown in the 1940’s. Our bodies consists of approx 100 Trillion cells. The health of our body is dependent on the health of our cells. The health of the cells depends on the fluid in which they exist, also known as the biological terrain. The biological terrain, the internal environment of the body that surround every cell, is regulated by homeostatic processes, which are dependent on the supply of a wide variety of substances, such as nutrients and the removal of waste. Our cells can only benefit from the nutrients we take in, if they can get rid of what they don’t need. The process of absorption, digestion and transportation are crucial to the biological terrain of the cell. If the biological terrain is wrong, toxins build up and the cells are unable to absorb the nutrients. Toxification depends on the amount of water we drink, the ‘pH’ of the body and the body fluid, specially the environment that surrounds the cells. Good nutrition is fundamental for good health. The human body is a complex system that requires a full spectrum of nutrients for optimal health. We require the right amount of macro-nutrients, such as carbohydrates, proteins and fats in the right ratios. We also need the right amount of 59 different vitamins, minerals and antioxidants daily. Optimum, broad spectrum nutrition is very important in the short term, but is particularly important in the long term, if we come to understand the fundamental role that nutrition plays in maintaining optimum health. It has been said that We Are OVERFED and UNDERNOURISHED. Good nutrition is not only the study of food, but of all the processes of maintenance & repair of the living body, dependent on the digestion of that food. It’s about the interaction of our food with our body and the interaction of the body with our food. Many nutritional supplements on the market today don’t contain bio nutritional substances useful to the cells & the body. 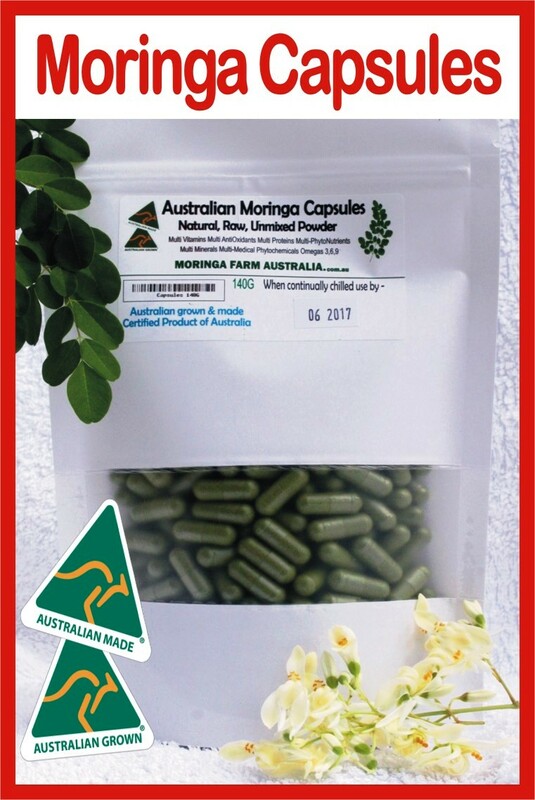 Moringa contains an excellent foundation of broad-spectrum and bio available nutrients, so you can be assured that the optimum levels are being met. Moringa contains over 90 verifiable nutrients including significant amounts of Vitamins B, B1, B2, B3, B5, B6, D, and E, polyphenols (antioxidants), other minerals, fibre, and is one of the highest, naturally occurring sources of chlorophyll. Chlorophyll, the green pigment of plants is more abundant in Moringa than any other plant, containing 4 times the amount found in wheatgrass. Chlorophyll stimulates healing by rejuvenating the body at the cellular level, strengthening the immune system and naturally cleansing the body of toxins. Aside from the potent combination of anti-oxidants, anti-inflammatories and amino acids, Moringa contains the following key nutrients.